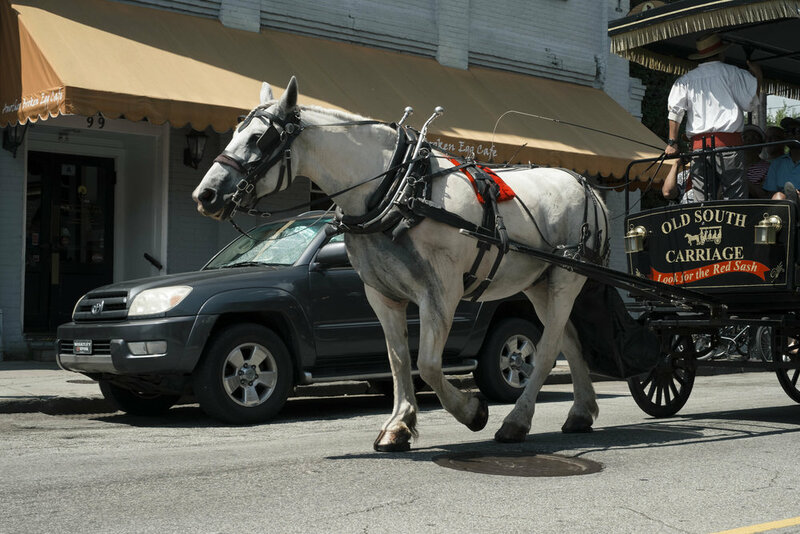 Oversight of the conditions of the Carriage Animals is conducted by Industry Operators with ONLY sporadic monitoring by The City of Charleston. 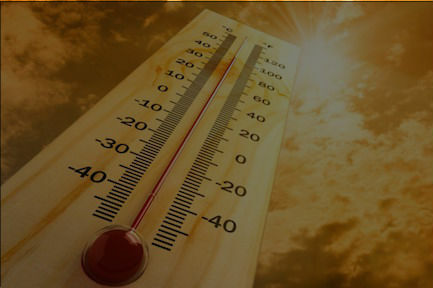 ISSUE #1: HOTTEST TEMPERATURE allowed in the U.S.
Cruel heat ordinance requires FOUR readings of a sizzling 95 degrees before horses can be relieved of the oppressive heat. 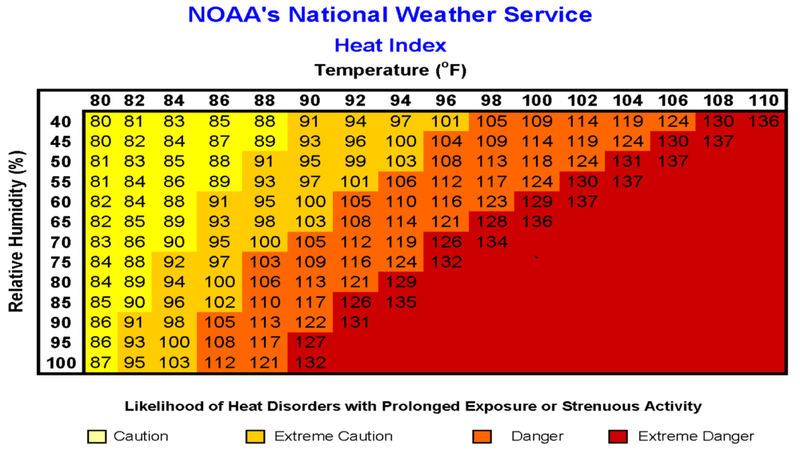 The NOAA (the National Oceanographic and Aeronautical Association) Heat Index Chart shows humidity on the side and temperature across the top. Look at 95 degrees on the NOAA Chart. This is the temperature at which the current ordinance requires horses taken off the streets. The humidity is usually very high in Charleston; between 70 to 100% is the typical range. You can see that those temperatures register in the DANGER category. Not Caution. Not Extreme Caution. DANGER. In the course of their work shift, the carriage animals have NO shelter from the direct sun. 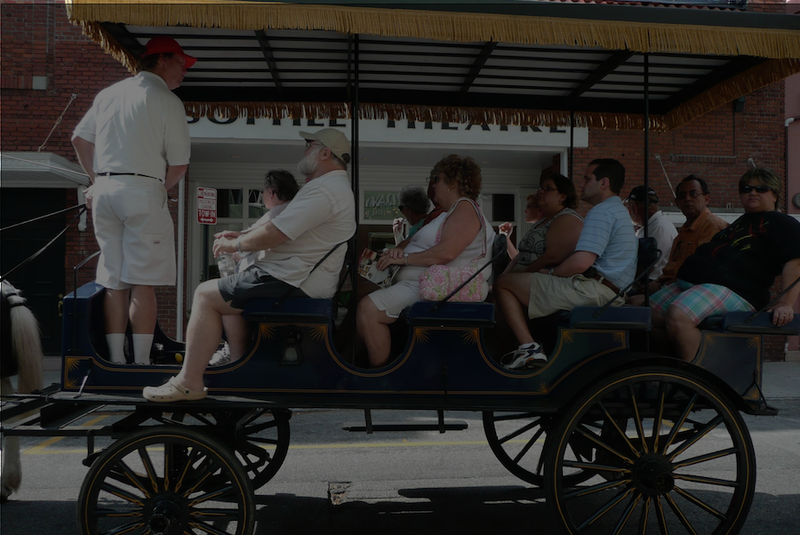 Unlike humans, carriage animals cannot get out of the heat or get water when they feel the need. The new ordinance requires FOUR readings at 95 degrees. If during the FOUR readings the temperature dips even .01 degrees below 95 degrees, readings begin all over again. City thermometer located four stories atop a hotel. The WetBulb Globe Temperature (WBGT) is a measure of the heat stress in direct sunlight, which takes into account: temperature, humidity, wind speed, sun angle and cloud cover (solar radiation). This differs from the heat index, which takes into consideration temperature and humidity and is calculated for shady areas. Wet Globe Thermometer is HAND HELD so can be used at site of working equine. As noted above, the humidity is usually very high in Charleston; between 70 to 100% is the typical range. 17 Adult passengers including driver. You need look no further than the Carriage Industry’s statements today to realize that these animals need our advocacy. Apparently, the industry would be fine with a 1500 pound animal pulling 34 passengers — approximately 8,000 pounds (4 Tons) — despite the fact that that is against the law. **Educated guess using CDC figures since the City does not enforce its own ordinance and refuses to weigh loads. 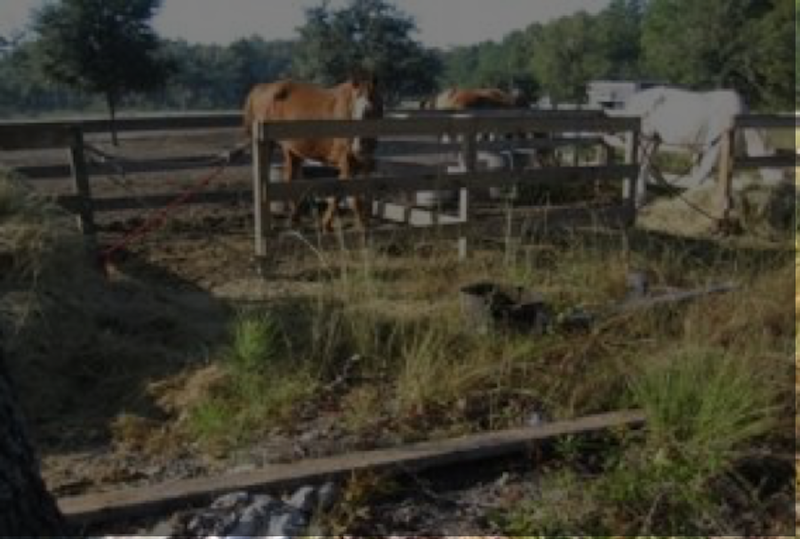 Carriage animals can be forced to work up to 10 hrs with wagon in tow. 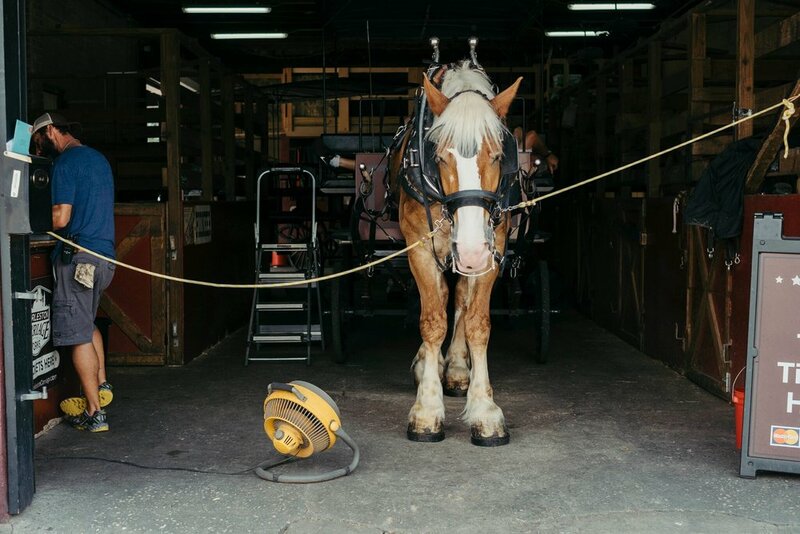 Despite a mandatory 15 minute break between tours, animals are permitted to work eight consecutive hours connected to wagons or ten hours with a ninety-minute break in a 24 hour period. In addition animals can be forced to work six days in a seven-day period. Note this horse’s hooves and muzzle. His hooves are a green tint as is his muzzle. This barn was found, in the Independent Vet Review, to use chlorine bleach to clean stalls. Chlorine bleach is dangerous when used in stalls because combined with ammonia, or horse urine, it can create a toxic gas, called chloramine vapor and hydrazine, in those stalls forcing the horse to breathe the toxic vapor. While free choice water is stipulated by the ordinance, it’s left to the industry operators to voluntarily comply. None of the companies, except one, was feeding the horses enough hay. Herd Health for equine animals is not a new concept but it is to Charleston Carriage Company Owners. Poor Ventilation due to blocked exhaust fans or failure to maintain exhaust fans. Low ceilings of stalls also create respiratory distress. The size of stalls is too small. Dimensions of the stalls are based on highly antiquated practices based in the 1800’s. Use of Chlorine Bleach in the disinfection of stalls is a health hazard. *Note the horse’s hooves and muzzle in the photo just above. His hooves appear to have a green tint, as does his muzzle. 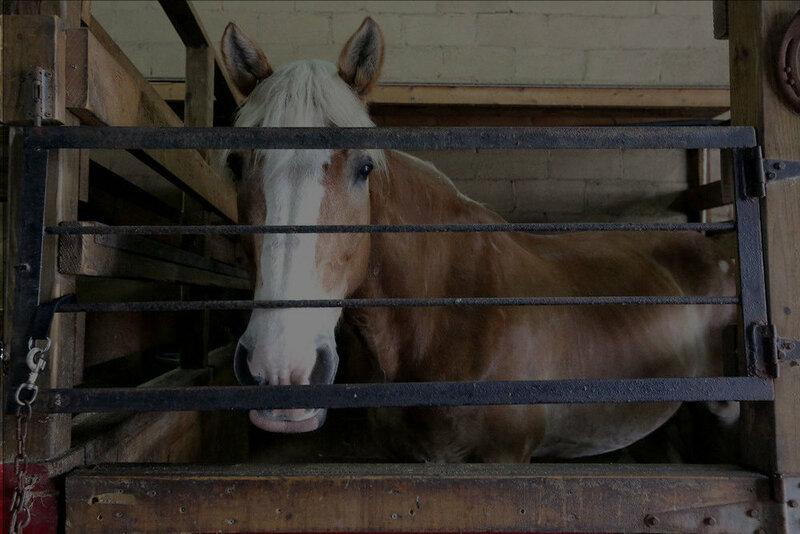 This horse's barn was found to use Chlorine Bleach to clean stalls. Chlorine Bleach is dangerous when used in stalls because combined with Ammonia, or horse urine, it can create a Toxic Gas, (Chloramine Vapor and hydrazine.) in those stalls for those horses to breathe.